The success rate and quality of reviews we enjoy with Clean 9 is exceptional – practically everyone can follow (more of less) the Clean 9 programme and get results. Firstly, here is the link to the Fit 1 booklet so you can have a look through… start by reading about Fit 1 / Fit 2 to decide whether you think it is for you. Essentially, you swap one meal for your Forever Lite shake and take 120ml of aloe vera gel once per day and nutrition as shown with each meal. On the exercise front, the idea is to increase your exercise gently over the month – allowing for some off days! So, aim for exercise 5 days per week (and 2 days off) even if your exercise is a couple of short brisk walks. Compare your current level of exercise in terms of calories burned. Remember to include a brisk walk to work or running for the train as these are excellent sources of exercise too. The key to Fit 1 is to start at around 300 calories of exercise and slowly increase that to about 500 calories of exercise – 5 times per week. Don’t increase too fast – so go steadily in the first week and you can combine exercises across the day – so a brisk walk to work might be 150 calories – and a brisk walk home another 150 calories making your daily goal of 300. Another typical question is – how much are you allowed to eat during your two meal times? The answer is 2 meals per day of somewhere between 450 calories and 550 calories plus your 300 calorie shake (for breakfast or dinner – whichever works best for you) totalling between 1200 and 1400 calories per day for women. Men are allowed to eat an extra 200 calories more per day – so, make the meals two 600 to 650 calorie meals. If you do more exercise and so burn more calories on any particular day, then feel free to have an extra shake in the evening. Likewise, if you miss your exercise goal for a day – try to do ‘at least’ some exercise – even if it is a brisk 10 minute walk – but eat a slightly smaller meal (a great tip is to use a side plate instead of a full dinner plate). Lastly, are you on facebook by any chance? If so, then join your distributors local facebook group so that you can hook up with other people on the Clean 9 and Fit 1 to share experiences and get encouraged. Most of all – the hard work is done on the Clean 9, with the Fit 1 / Fit 2 programme, all you have to do is keep going – consistently, and you find that the exercise levels will happen quite naturally with just a little gentle pushing and you will gain control over meal sizes and snacks. Don’t forget to enjoy it too – the more fun you have, the easier it becomes. And check out our other article for more tips on moving from Clean 9 to Fit 1. Hi Maureen – I can show you how to buy the Clean 9 in Nigeria – I’ll drop you an email. Your Comment Here…I used arctic sea and aloe Vera gel to reduce my cholesterol which worked like magic. pls I need you to recommend what to use to heal my gastritis which have been troubling me for years. Am a believer of this product. I live in Lagos Nigeria. Thank you. Hi Uwa – I’d love to advise you but we are not allowed to make suggestions on medical conditions. Can I suggest you contact your local person? I am on 3 day of using C9 and m feeling great n healthy, and have lost as required but now am thinking what to do after the 9 days. How can I can reduce more weight ?? Easy Poonam – Fit 1 – but make sure you get a tailored plan as I do – everyone is different and you need a plan that works for you. I am 70kg I just start c9 and on the 2nd day I lose 2kg. will I continue to lose more? I want to lose at least 10kg more. after c9 I am going to continue with F.I.T1. is it possible to lose 10kg more with FIT1? 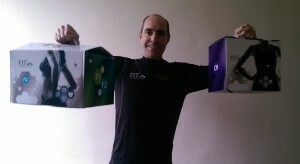 I am on day 3 on my clean 9 and followed the instructions strictly with an 1 hour exercise daily. I checked my weight this Morning and I noticed I already lost 4kg. Is this normal? It is probably your scales not working reliable Bayo – its a very common problem – which is why we prefer the measuring tape. Hi Sara – yes, you can – but it would be worth getting advice first. Hey Neil. I started with C9 program today. Is there a gab between the completion of C9 and the start of FIT 1 or after the last day of C9 I start with FIT 1 the following day? Hi Jacob – for best results you just follow on. Let me know if you need a discount or help setting up your plan for Fit 1. Hi… I am in my day 5 of clean 9…i feel so grate… Do I start fit1 immediate or I should wait a couple of days before I start? Also when pregnant is it safe to continue? Hi Ifu – no, if you are pregnant that you should not be on Clean 9 – you need to eat well to feed the baby. going through your comments and excellent feedback i must say.. much appreciated!! Hello Waad – yes, you should not be on the Clean 9 on the normal programme. I would suggest you return the box to the person who sold it to you – you do have a money back guarantee and then find someone who can help you. I normally spend a couple of hours with each client helping to establish a suitable programme – but it depends on each person’s weight and size – so I can’t make any generic recommendations without knowing your situation in some detail. However, you almost certainly should not be doing the first two days of the Clean 9 and need to eat more on the remaining days. Is it possible to start directly with Fit 1 without going through Clean 9 first? Hi Rash – yes, it is – and it might make sense if you are already pretty fit and looking to move things forward rather than needed a healthy eating reset. No, you need the calories and the protein Roses – please don’t skip. Hi Neil, am on clean 9 and the aloe vera gel makes me constipated. Why? Hi Becky – that’s not typical – normally the aloe vera will help the body regulate itself. Although it is possible that you body is simply re-adjusting, which is a good thing.